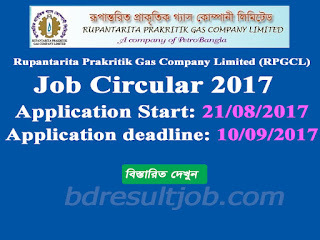 Rupantarita Prakritik Gas Company Limited (RPGCL) Job circular has been published of RPGCL official website http://www.rpgcl.org.bd/. According to the recruitment notification, they will appoint a total of 37 vacancies in terms of Assistant Engineer, Medical Officer, Assistant Manager (administration), Assistant Manager(Accountant), Assistant Officer and Sub Assistant Engineer. Eligible and interested application can apply online and application fee pay by Teletalk. a. Assistant Engineer: vacancies 16, Educational Qualification and salary: please see advertisement. b. Medical Officer : vacancies 1, Educational Qualification and salary: please see advertisement. c. Assistant Manager (Administration): vacancies 4, Educational Qualification and salary: please see advertisement. c. Assistant Manager(Accountant): vacancies 4, Educational Qualification and salary: please see advertisement. d. Assistant Officer : vacancies 2, Educational Qualification and salary: please see advertisement. e. Sub Assistant Engineer: vacancies 10, Educational Qualification and salary: please see advertisement. 1. Candidates must be Bangladeshi by born. 2. Please see your educational qualification which you apply position. 1. 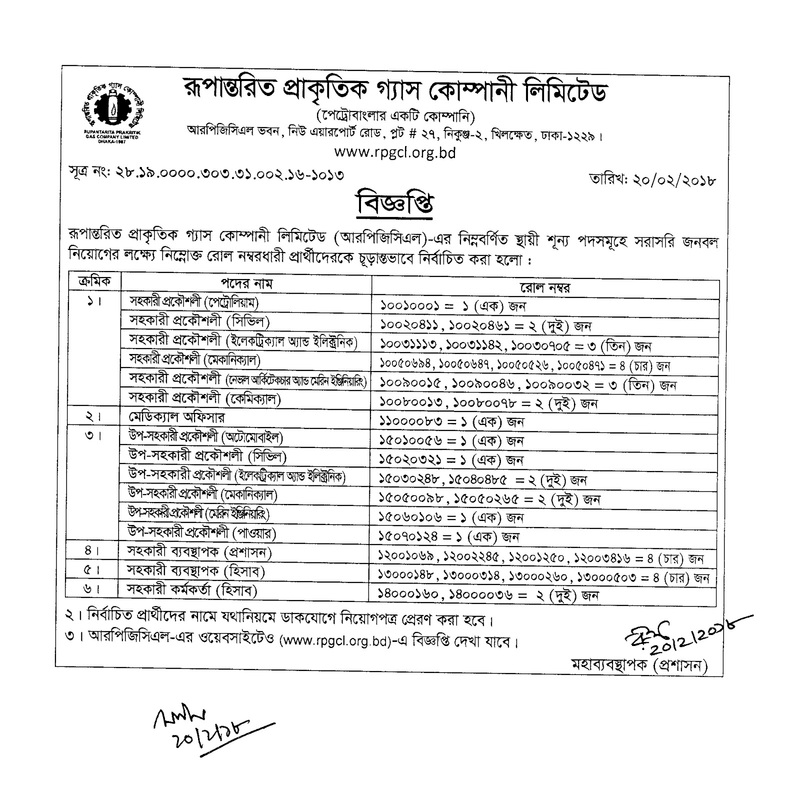 Visit: http:/rpgcl.teletalk.com.bd and select your position which one you want to apply. 2. Application form fill up your Name, Father’s Name, Mother’s Name, Present Address, Permanent Address, Date of birth, Academic Information and Other Necessary Information. 3. Click ‘Next’ and preview your information carefully. 4. Applicants have to insert recent photo, photo size is 300*300. But not more than 100 kb.and upload own signature, signature size is 300*80 and file size is not more than 60 kb. And it should be jpg format. 5. Check the declaration option and submit your application. 6. Print your application copy and complete your payment of Application fees. Reply: Applicant’s Name, Tk 300/- will be charged as application fee. Your PIN is (8 digit number). Reply: Congratulations! 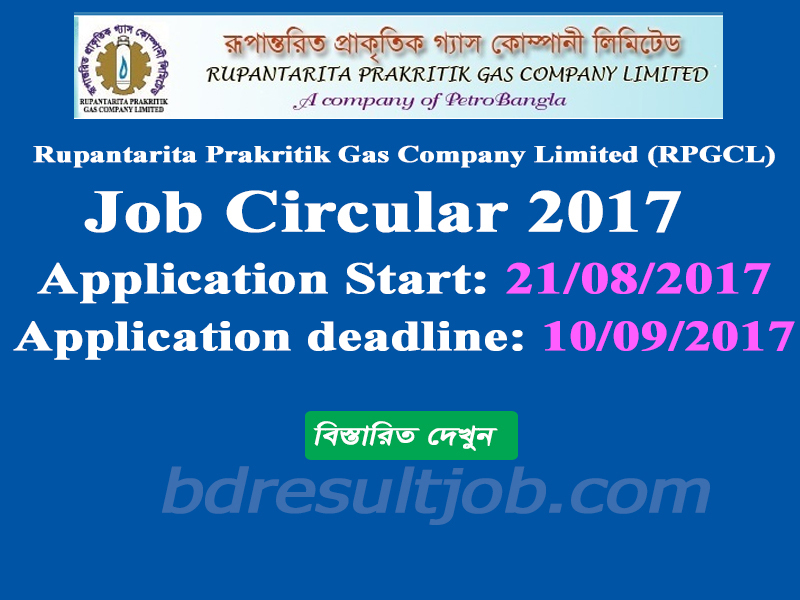 Applicant’s Name, payment completed successfully for Rupantarita Prakritik Gas Company Limited (RPGCL). User ID is (xxxxxxxx) and Password (xxxxxxxx).